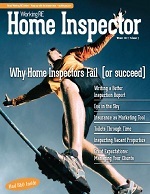 Home Inspectors: What's Your Business Worth? Editor’s Note: This story appears in Working RE Home Inspector’s Summer 2018 Print Edition. 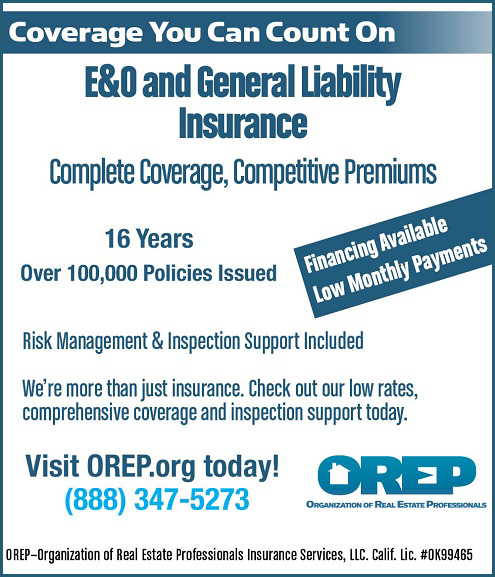 OREP insureds enjoy it free along with many other business and risk management benefits! 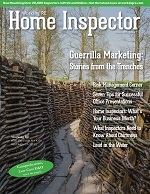 WRE reaches 20,000+ Home Inspectors in Print and Online! Home Inspectors: What’s Your Business Worth? There are many ways to accurately measure the value of a business. This article will briefly touch on a few. The real trick is increasing the value of your home inspection business. We’ll give you some tips on this too. Many small businesses are valued on either a multiple of revenue or a multiple of what is called EBITDA (Earnings before Interest, Taxes, Depreciation and Amortization). This is used to gauge a company’s operating profitability—that is, the earnings it generates in the normal course of business, ignoring capital expenditures and financing costs (effectively a measure of cash flow). Multiples are calculated typically at 1–3x revenues or 3–9x EBITDA, based on the projected growth rate of the company. For example, consider a company that is growing at 100% a year versus a company that has hasn’t grown in three years and has no significant projected growth. The growing company would command a higher multiple than the one that is stagnant. The other significant value factor of a business is the kind of revenue it has. In other words, how much of the revenue is tied to multi-year contracts or subscription revenue versus a business that has transactional revenue only, with no recurring customers or long-term contracts. If you grasp this, you’ll probably understand the difference between how a dentist’s business is valued versus a home inspector’s and what to think about next. Most inspection firms doing $150,000 in revenue a year may only be worth about $5,000–$10,000. Ouch! I talked to an owner of a multi-inspection firm here in Mass., who has seen friendships disintegrate because of this massive “gap” in perceived versus actual value. He was approached by friends who wanted to sell their business to him and were offended and upset by what they perceived as a “low ball” offer to “buy the agent list” (which is really the only value the business had). 1. Do nothing. As with anything, the choice can be to accept this and just factor it in to your plans. 2. Grow. If you grow your business into a multi-inspector firm with a number of people working for you, with more assets (vehicles, equipment) and more value to your brand, you’ll have something that you can sell to someone wanting to get into the industry quickly. 3. Plan for Sale. Get out there and talk to potential buyers in your area who MIGHT buy your business if you gave them a plan that really worked for them. This means perhaps going to work for them for 12–18 months, introducing them to agents, and helping to train one or two people in the process. That creates real value to the buyer. You might not get everything you’d like but you’ll get more than you would otherwise. 4. Add “Subscription” Revenue. This can come in a variety of ways but at the core it means that you have a set number of clients who pay you every year. Some firms call them Annual Maintenance Inspections (or something similar). At HomeBinder, we call them Annual Property Reviews. If you have 50, 100, 200 clients who have you back every year to pay you for a service, that revenue is bankable just as it would be to a dentist, mechanic or doctor. Having revenue that is predictable comes from customers who keep coming back (meaning you have a low churn rate or high retention rate). 5. Create Value. Value can be created in other ways too. For example, a website that attracts inbound leads because it has great content and a customer acquisition funnel. If you can show that your website is bringing in 30% of your business and does so every year with some level of predictability, it has value. You could also have a long-term contract for inspections with an insurance company, home builder, or big box retailer (Sears, Lowes, Home Depot), that shows stable revenue that is guaranteed to come in again next year: business that is “contract focused” rather than “relationship focused” (big difference). Of the 22,000 home inspection businesses in the U.S. and Canada, I can say with some degree of certainty that most single-home inspector owners have not fully considered the implications of enterprise value. Further, many multi-inspectors would be well served to consider ways to create even more enterprise value. If you are a 60-year-old inspector who grew up with the industry and has retirement on the horizon, spend a few minutes considering what this means for you and whether you’ve factored your retirement plans accurately. If you are in your 40s, it’s never too early to think about your enterprise value because starting early will pay dividends just like any investment. Jack Huntress is the founder and CEO of Home- Binder, an online “digital 3-ring binder” for the homeowner (to store everything about their home down to paint colors) that inspectors give to help market their business to both agents and homeowners. He has a background in environmental consulting and previously helped EDR roll out the Neighborhood Environmental Report to home inspectors as well as an online learning platform. He can be reached at jack@homebinder.com.